eM Client converter tool is precious tool for you if you are all set to change your mind to use MS Outlook as your mailing support instead of eM Client. Also, if you just want to open eM client mails to MS Outlook. Batch DOC TO PDF Converter is a Word to PDF, DOC/DOCX to PDF Batch Converter that can convert Word DOC/DOCX to PDF (Portable Document Format) easily. Batch DOC TO PDF Converter supports powerful search for a lot of files. A PDF publisher for Word. Free Instagram downloader is a simple program that facilitates users to download originals of the photos and videos from Instagram. This free software program has a simple user interface. Creating professional CD and DVD labels is done within minutes with Disketch. From DVDs to audio CDs you will be able to create a professional looking product fast. pdf2cad generates scaleable and editable CAD drawings for use in AutoCAD, BricsCAD, Microstation and other CAD, CAM and CNC systems. 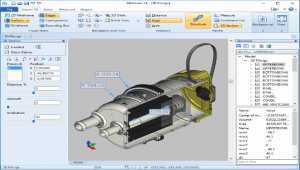 Convert PDF, EPS and AI into DWG, DXF and HPGL. Options for controlling layering, line widths, scale and more. Folder Password Lock Pro is a professional security tool to lock, hide and protect your folders and files. CardWorks Business Card Software Free makes it easy design your very own business cards. CardWorks Free allows you to select from a wide range of business card templates. You can also change template color schemes for more customization. Windows Spy software secretly logs all Facebook use, keystrokes, chats, emails, web sites, video talk, user names, passwords and more. It takes screenshots like a surveillance camera. Sends log reports to your email or ftp like every 30 minutes. Disketch is a free CD and DVD disc labeling software for Mac. It allows you to create CD and DVD disc labels as well as cover images for CD and DVD jewel cases. You can import your own art work, or set a simple background colors. 3D Canyon Flight Screensaver allows you to fly through photo-realistic three-dimensional canyon full of ancient pterosaurs. Special effects like sun flares and fog highly improves the realism and image quality. Free Adsense site builder to increase your Adsense earnings by converting directly from ANY txt, html, doc documents, to your unique instant Profit-Pulling Adsense websites. Easy to use, build-in site template generator and sample templates included. 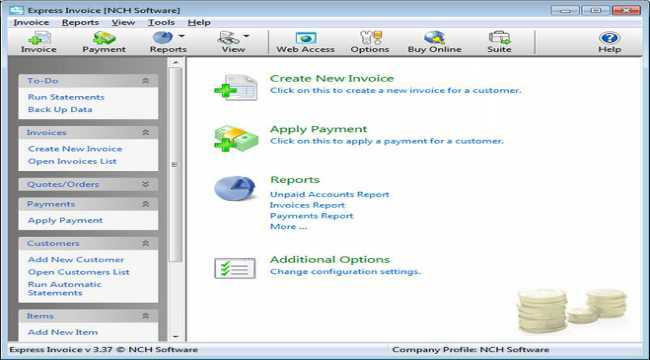 Express Invoice Plus can help you manage and track your billing on your Windows PC. Create invoices, quotes and orders quickly. Easily add multiple users and enable online remote access. Free DRM Protection is a DRM solution for video/audio/image files. DRM protected media files can prevent illegal copying and distribution, unauthorized users can not open them. Jam partner is a MIDI auto-accompaniment software which offers all major features of a high quality MIDI keyboard. It comes with chord recognition, based auto arranger, LeadSheet editor, recording section, about 30 demo styles and much more. DataNumen PowerPoint Recovery (DPPTR) is a powerful tool to repair and recover corrupt Microsoft PowerPoint PPTX files. The YouTubeR Playlist Site Creator Software is Windows based and is very simple to use. Review questions presented, fill in your answers, click finish and page is saved to your hard drive. 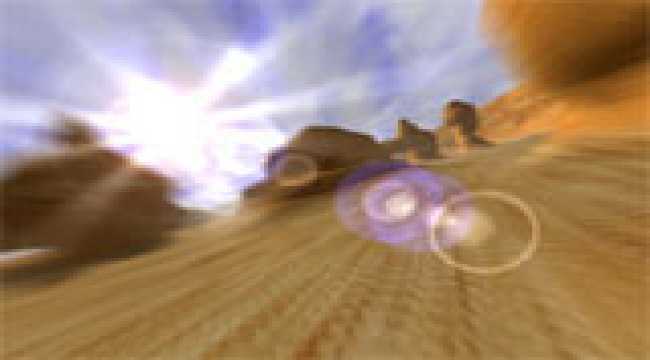 3D moto racing game. 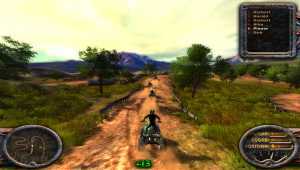 Ultimate motorcycle ride on a winding road with tricky opponents and a variety of obstacles. Upgrade your motorbike and use kicks to finish all races. 3D racing game.Become a cool street racer and conquer the metropolis or join the police to defuse a dangerous riding on the night city streets.  Solitaire board game with 190 levels and 6 designs for the pegs. Highscore for each level. 3D monster truck racing game. Take part in races of two types: Sprint and Capture the Flag. Earn points and upgrade your monster truck. Take first place in the top list of the best monster truck drivers! STL Viewer is a professional software that allows users to view, measure, convert and print STL and other 3D formats such as STP/STEP, IGS/IGES, SAT, BREP, etc. Its user-friendly interface ensures ease of use. EXIF Photo Organizer can quickly and easily organize huge photo collections according to user-defined rules by using the jpg-embedded EXIF metadata that nowadays most modern digital cameras record. EXIF Photo Organizer supports 31 EXIF tags. Christmas Photo Frames contains more 500 high quality HD photo frames. Photo frames - Christmas, New-Year, winter frames, birthday frames, holiday frames, nature frames and many others! You can select a photo from the gallery. EximiousSoft Screen Capture combines the power of a first-class screen capture application with an advanced image editing utility - wrapped into one easy-to-use tool! By it to quickly share a picture-perfect representation of anything on your screen. Creates photo quality posters of any size/shape from any digital images. Exclusive Edge Calibration technology ensures quality. Zooming, cropping, rotation, and poster preview ensure ease and flexibility. Works with all home and photo lab printers. 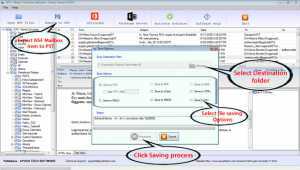 With the aid of ATS NSF to PST Converter, the user can easily export their Lotus Notes data into Outlook PST file format without losing any information. Using it you can convert email, Contacts, Calendars etc more others from Lotus Notes to Outlook. In order to import OST in Outlook 2013 PST file, you can make use of OST to PST software. It is a perfect solution to import OST in Outlook 2013 in any single mode or batch mode. 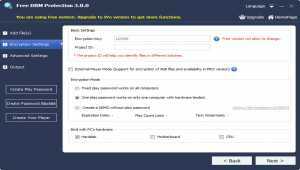 Get MSG to MBOX Import Tool to import MSG file to Thunderbird mailbox file format along with all emails and attachments from any Microsoft Outlook edition i.e. Outlook 2019, 2016, 2013, etc. Learn how to change OST file into PST with help of OST File to PST File Converter that gives an easy way, which is simply following by any type of users on all Windows (32-bit & 64bit) Operating Systems. SD Card Files Recovery Pro is designed to recover deleted or lost files from the SD cards that are used on mobile phones, digital cameras, MP3 players, pocket PC, mobile communicators and pads, computers, the memory cards and other devices. 3D City Environment for your Community & Dating Site, Seconf Life of the Members. If you have a community or dating site you need to have something to attract customers. Day by day. Having a real 3D City live chat software will bring you money. Check virtually any website for broken link and spelling mistakes with InSite! InSite is powerful, yet easy to use. Just enter a website URL and click Go! It checks every page in one pass. Download a free trial today. Virtua Girl HD is a free software that brings strippers right to your Mac OS X desktop. Girls come to dance and strip on your monitor while you continue using your computer. Do-It-Yourself data recovery for Windows FAT12/16/32 and NTFS file systems after wrong partitioning, formatting, deletions, software errors, user mistakes or power failures. Including free single file recover. Xilisoft DVD Ripper is an easy DVD ripping tool with fast speed. It can copy DVDs to VCD, SVCD, DivX, MPEG1, MPEG2, WMV, AVI, Xvid, ASF etc. You can select subtitle, movie size, frame rate, audio volume etc. or use default settings when ripping DVDs. AlarmWiz is an easy to use reminder program and task scheduler which can play audio files, dial Internet connections, send emails, perform FTP transfers, launch programs, and more. EasySystemCleaner is an Internet history eraser that protects your privacy by cleaning up all tracks of your Internet and computer activity. Pumpkin Games' tribute to Eugene Jarvis's seminal arcade shooter Defender features all the ingredients that made that game a classic. Alien Abduction is the game shoot 'em up fans have been waiting for. Enterprise software to find expiring, expired, vulnerable or rogue SSL certificates in your local network or internet. Email Password Recovery Pro is the enterprise software to help you instantly recover your lost or forgotten mail password from popular Email Clients and top 15+ Web Browsers. OzGISMac is an extensive system for the analysis and display of geographically referenced data. The system can be used to analyze socio-economic and demographic data produced by censuses and surveys and to support management decisions. TunePat Spotify Converter for Mac is an excellent Spotify downloading and converting tool, dedicated to helping users to download and convert any track, album or playlist from Spotify to common MP3/WAV/AAC/FLAC format. NoteBurner Spotify Music Converter is specially designed for converting Spotify music to mp3, aac, wav or flac format at 5X faster speed while keeping ID3 tags. Customize your scans to scan specific areas of your system and intelligently protect your Mac. The easiest & most efficient way to clean all duplicate files on your Mac. It scans every corner of your Mac and even external drives for multiple copies of your files to recover gigabytes of precious drive space. Get help in removing multiple copies of similar photos and selfies using automated settings with this duplicate photo finder and cleaning tool. You can restore up to GBs of disk space on your Mac in no time and get an organized Photos library. How do you know if you have malware or virus on your Mac. ITL anti malware for mac provide best mac malware protection by deep scanning and removing it. TunePat Amazon Music Converter for Mac is an excellent Amazon music downloader designed for helping users to download and convert any track, album or playlist from Amazon Music Unlimited to common MP3/WAV/AAC/FLAC format. Aiseesoft Mac FoneLab for Android dedicates to recover deleted/lost data (contacts, messages, photos, videos, etc.) from Android phones/tablets/SD card for Mac users, and backup almost all above data to your Mac even compatible with OS X.
Super Words is a very funny word game completely free. Make the words explode in thousands of colors, the longer they are, the more points you make. Reach new records and collect free diamonds. Play/Emulate PSX, SNES, GBA, NES, Sega Genesis retro gaming onto your android Device / Smart TV / Android TV Box. Free multi retro gaming console emulator for android. Two educational games, illustrations, interactive animations and animal sounds together in one application! These games not only introduce your children to animals but also develop their memory, attention and imagination! Parental control in the form of Nixie, protects not only children's eyes, but also parental nerves. Get the all-in-one mobile fast PDF office : Organize, View, Read, Annotate, Comment, Sign, Edit, Create, Convert PDFs and Fill PDF Forms on your Mac, iPhone and iPad. Get the all in one PDF office to view, comment, edit, sign, fill form, and share Adobe Acrobat Reader PDF on smartphones, tablets, and even on PC/Mac. UFO VPN, the best free, fast and unlimited VPN proxy for Android devices! Your first choice to use secure WiFi hotspots, protect your privacy and access all websites. It is the most easy-to-use VPN service that you can not miss today! Convert Microsoft Word documents and Excel spreadsheets to PDF directly from your Java applications, without user intervention and without the need for any other software. jPDFAssemble is a Java library to assemble PDF files. jPDFAssemble can combine, merge, or split PDF documents. jPDFAssemble also allows to add or manipulate bookmarks in PDF documents. 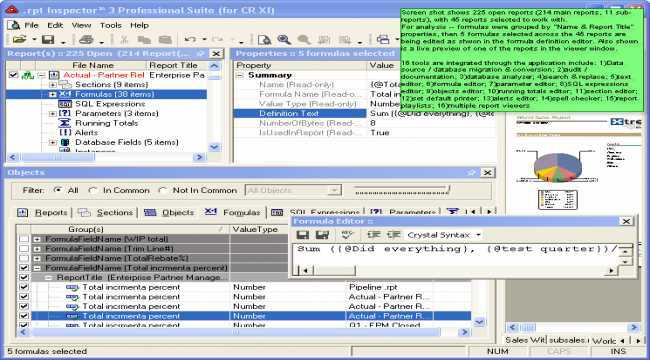 jPDFFields is a Java library to work with interactive PDF forms in both AcroForm and XFA formats. jPDFFields allows your application to get and set field values and can also import and export to FDF, XFDF, and XDP formats. jPDFPreflight is a Java library to verify PDF compliance with different standards, including PDF/A and PDF/X and to convert documents to these standards. Integrate a PDF component that can display, markup and edit PDF documents, inside of your application. jPDFEditor is a full featured PDF viewer and editor packaged as a Java component that can be integrated seamlessly in your application. jPDFImages is a Java library to export images from PDF files and to import images into PDF files. jPDFImages can create images from pages in a PDF document and export them as JPEG, TIFF, or PNG images. jPDFNotes is a Java component that embeds in your Java applications to display and allow your users to insert notes and comments into PDF documents. With jPDFNotes, you can deliver PDF content to your users right through your application. iStripper is a free software for desktops based on a unique technology of video inlay offering free unlimited previews of stripping shows in 4k UHD resolution and full stripteases to purchase individually for a few dollars. Extreme Injector v3.7 - a powerful and advanced injector in a simple GUI! A professional system for licensing and protecting executable files for Windows. The Enigma Protector is an essential tool for every developer of commercial software and shareware for Windows. It's convenient to add tenant application forms along with prewritten instructions to complete the forms. Clipboard saves me hours each week. Great tool and i recommend it. SoftSilo is a free software directory. You can download latest software for your windows, mac, linux/unix operating system and mobile applications and software.